Your one-stop shopping site for the best in lighthouse & related clothing and accessories. 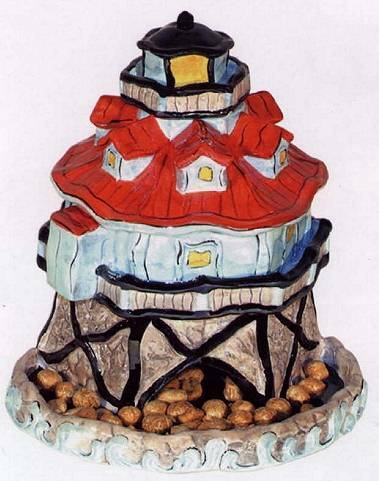 What a great item to receive as a gift, if you are a lighthouse lover!! 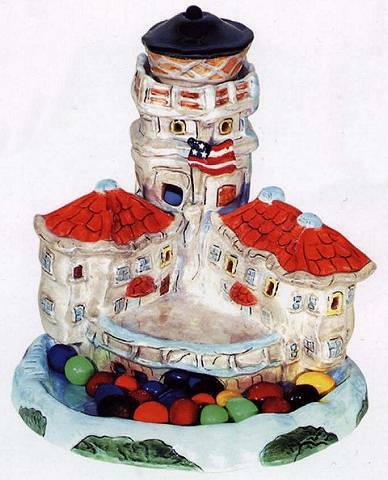 Three of the most popular lighthouses made into candy dishes. 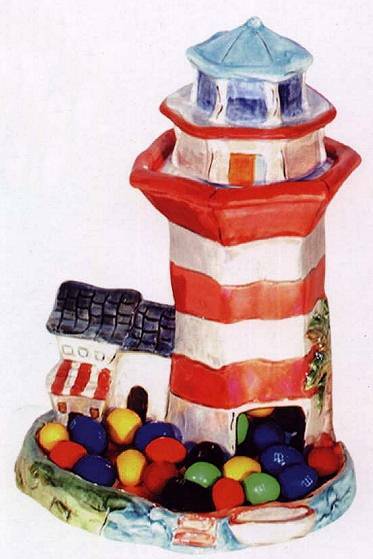 What a great way to enjoy your cravings for both lighthouses and desserts. Cuddle up with this dish full of goodies and watch your favorite TV programs. Enjoy your relaxation time!! Order them all!! Check the boxes below the items you wish to purchase. You can click on the image below the item name to see a picture of the product. Collect them all or send as gifts !